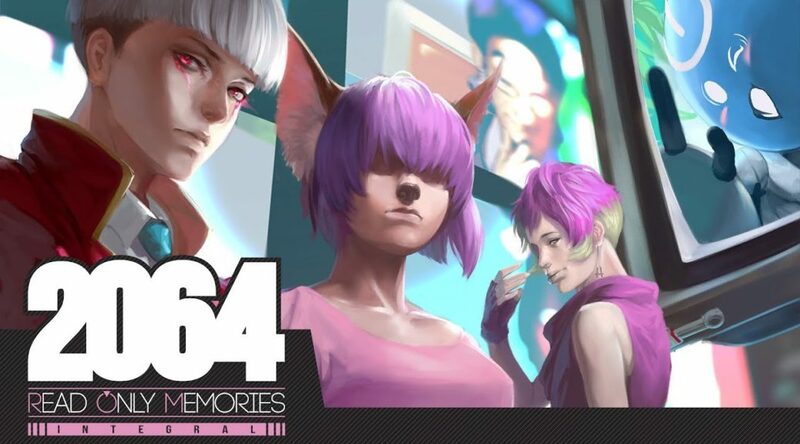 Midboss has confirmed the final release date for 2064: Read Only Memories Integral. It’ll be out August 14, 2018 on Nintendo Switch via Nintendo eShop. Pre-orders are now live at Nintendo eShop with a special 10% discount. The game’s original price is USD20.64. Take to the streets with the “Punks” side story, remastered, fully voiced and seamlessly integrated exclusively into 2064: Read Only Memories Integral on Nintendo Switch.Other content in this definitive edition of Read Only Memories includes video clips from the cutting room floor, a jukebox with never-before-heard tracks, as well as all of the voice acting, other polish and content added to the game since its initial launch. Follow Turing, who claims to be the world’s first fully sapient ROM (Relationship and Organizational Manager) on a mysterious investigation after the disappearance of their creator. Turing is as witty as they are cute and depending on player choices can become a close companion while helping solve point-and-click puzzles and problem-solving minigames. The city of Neo San-Francisco transposes modern day social issues into a hopeful cyberpunk future by asking questions about identity, individuality and what it is to be human. With a diverse cast of characters, each fully voiced by talents including industry legends Melissa Hutchison (The Walking Dead), Adam Harrington (Middle Earth: Shadow of War, The Wolf Among Us) and more, 2064: Read Only Memories Integral puts the focus on meaningful interactions and choices while exploring topics such as advanced AI, cybernetic enhancements and genetic experimentation. 2064 will be available in the Nintendo Switch eShop for $20.64USD and support English with full audio and Japanese with a text-only localization.